Birds of prey are majestic whether perched or soaring high above. Their gaze and posture regal in nature, the true kings of the bird world. I like the dof on this crisp on the bird and great bokeh on the background! Beautiful bird, great action shot. Holy smokes! Wowza. Awesome capture. 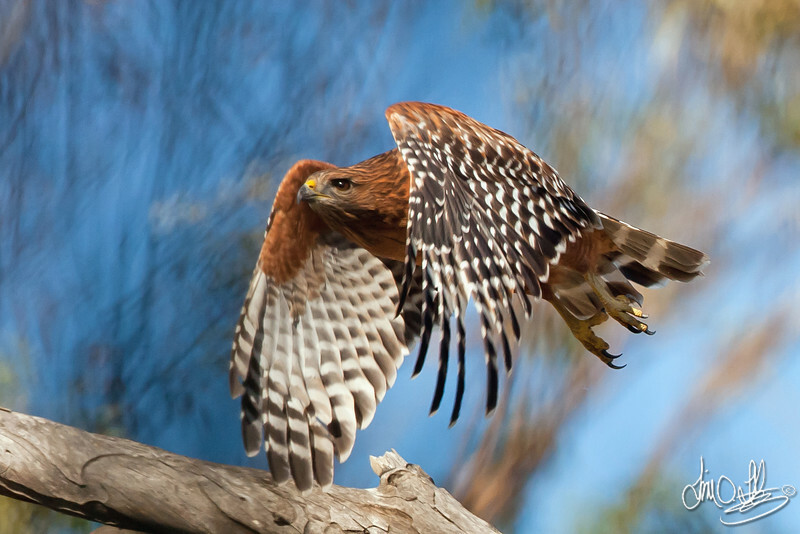 Love the tight DOF on this so that the background trees have that nice blur yet the RS Hawk is nailed in focus!